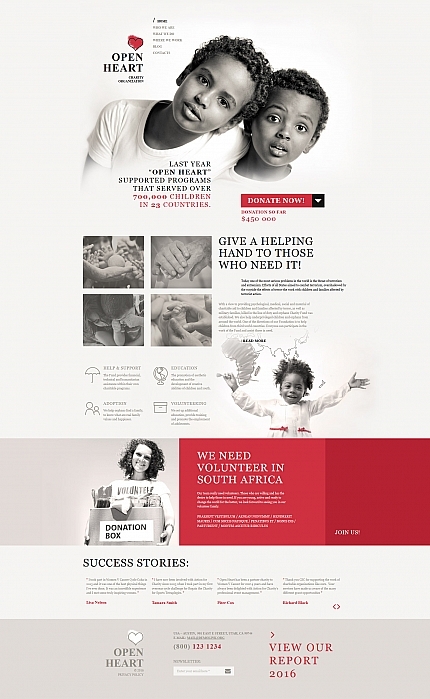 Charity : Template 58351 has a calm and peaceful design to serve as the basis for any type of an organization. This template is a nice start to launch your community website whether related to children, donations, or any related charity foundations. Bonus with every purchase With each template purchase you get Free Web Design Elements: photos, fonts, icons, 3d models, sounds. Buy template 58351 from zeronese today and get access to the Free Clipart & Free Web Design Elements library.